For the ultimate in symphonic realism, this exceptional bundle features solo and ensemble strings, brass and woodwinds ready to take your orchestral productions beyond the box. All of these orchestral libraries were created with one thing in mind – playability. Whether you prefer to play right out of the box or spend your time crafting the perfect combination of articulation, note head and reverb, you’ll find what you need within Chris Hein Orchestra Complete. 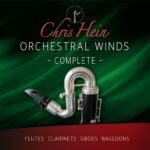 ﻿Chris Hein Orchestral Winds library features 13 deeply sampled flutes. clarinets, oboes and bassoon. With over 30GB of sample content, 14 articulations and up to 8 dynamic layers these woodwinds shine in the mix. True scale runs, dynamic sustains and intelligent legato all combine to make these woodwinds the most detailed sample collection on the planet. 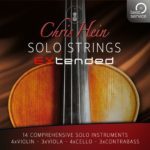 Solo Strings is a huge collection of 14 instruments: Violins, Violas, Celli and Basses that can take on any style from romantic leads to string quartets, gypsy and jazz. With 4GB of samples and up to 8 dynamic layers per patch, you’ll find instruments from France, Italy, Germany and Russia, as well as detailed first chair solo patches..
Orchestral Brass EXtended is absolutely comprehensive – a massive source of trumpets, trombones and french horns and even f-tuba, sousaphone, euphonium and ensemble groups. So whether you’re recreating a fanfare, brass band or full orchestral brass section, these precisely sampled instruments will make you sound truly authentic. The articulation range is staggering with all the bread-and-butter styles, plus rips, falls, flutters, runs, repetitions and effects – not to mention 5 different kinds of mutes. Chris Hein’s groundbreaking phase-align technique achieves articulations that are clean of phasing and volume bumps as you move through the dynamic layers. So if you need powerful crescendi or flowing legato lines you won’t hear any audio artefacts – the transitions are completely smooth. It’s simple to set up separate convolution reverb routings for both the instrument body and the room it’s playing in – so you can match these orchestral instruments with the rest of your template. With 63 high class impulse responses, it’s never been easier to match a soundstage, placing all of your orchestral libraries in the same space. Chris Hein Orchestra Complete Upgrade 1 – You are a proud owner of the Chris Hein Orchestral Brass Library? If so, this discounted upgrade gives you the opportunity to expand your orchestral instrument collection with Orchestral Winds, Solo Strings & Ensemble Strings. 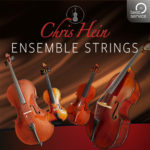 Chris Hein Orchestra Complete Upgrade 2 – You own Chris Hein Ensemble Strings and would like to expand your collection of Orchestral instruments? Well, this discounted upgrade is exactly what you are looking for. 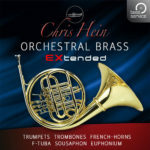 Chris Hein Orchestra Complete Upgrade 3 – With the upgrade from Chris Hein Solo Strings to Chris Hein Orchestra Complete you get the chance to add Winds, Brass & Ensemble Strings to your collection of orchestral instruments. 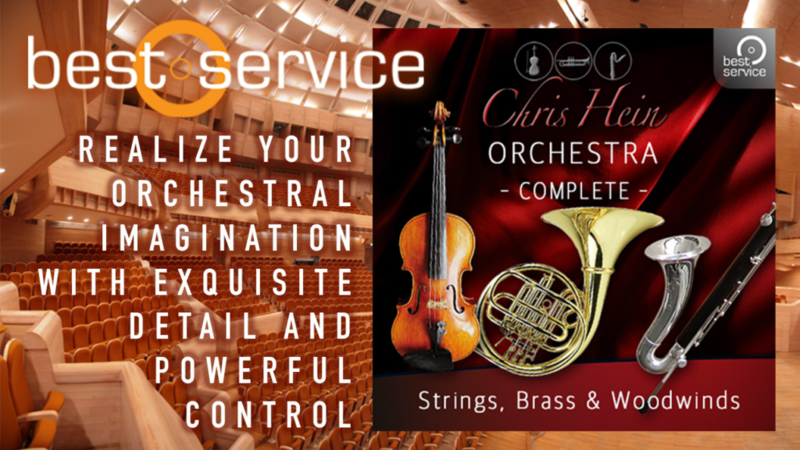 Chris Hein Orchestra Complete Upgrade 4 – If you own Chris Hein Orchestral Winds this upgrade will extend your collection with solo and ensemble strings as well as orchestral brass instruments, ready to take your orchestral productions beyond the box. Chris Hein Orchestra Complete – experience fantastic sounds and flexible options, be inspired to experiment, discover and create music you haven’t even dreamed of.